Data lost? Back-up failed? Don't panic! No one can escape data loss. e-Media of New York Inc has joined forces with the industry leader, Ontrack Data Recovery™ to offer you a range of cutting-edge solutions, helping you to combat data loss for good. 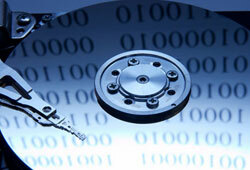 With nearly 20 years of experience, Ontrack can perform recoveries on every operating system and storage device. To contact us call: 631-285-1095.
call 1-800-872-2599 and mention our Partner ID 1647392.